Why the Yale and George Mason University poll attempt to tie "extreme weather" to global warming is rubbish | Watts Up With That? Since warming hasn’t been cooperating lately, in desperation, Yale and George Mason University are trying to use a poorly worded and loaded poll to convince us that “weather is climate”. Problem is, the data does not support it. Just looking at the cover tells you a lot, it’s about the imagery of fear and terror, not facts. What’s hilarious about this question is that the memory of such events is aided by the stories in the mainstream media, and what we are seeing is a positive feedback loop. More on that below. “We predicted and found that weather-induced negative mood improved memory accuracy,” he wrote in the study, which is published in the current Journal of Experimental Social Psychology. Another study from the University of Toronto has also shown a link between bad moods and ability to remember details. Forgas speculated that a worse mood helps us to focus our attention on the surroundings and leads to a more thorough and careful thinking style, while happiness tends to reduce focus and increase both confidence and forgetfulness. According to the poll 21% of respondents experience a tornado in the last year. Extrapolating that out to the U.S. population, that would mean that over 60 million Americans were affected by tornadoes in 2011. That strikes me as wildly inaccurate and falls into question whether this poll has any validity at all. I’d really like to see what the last 10 years looks like in a similar question…but they wouldn’t dare do that, because it would not give the results they seek. Plus, the type of severe weather events listed above, have regional distributions. For example, the south far more likely to have tornadoes and hurricanes that the Pacific Northwest. And in any given year, a strong wind and a strong rainstorm are common events just about anywhere, yet they try to make normal weather part of the “extreme” weather pattern, without defining what “extreme” weather is to the person being polled. But, by saying “we are taking a poll about extreme weather” and then including winds, rain, snowstorms, heat waves, cold snaps, etc, which are regular occurences, lumping them with tornadoes, hurricanes, etc…they bias the poll by association. It’s a clever trick, and it is also dishonest. This is why warmists need a new ploy, if they can make global warming about everyday weather, they’ll have a golden hammer. In my opinion, it is psychological terrorism. Proponents of drastic curbs on greenhouse gas emissions claim that such emissions cause global warming and that this exacerbates the frequency and intensity of extreme weather events, including extreme heat, droughts, floods and storms such as hurricanes and cyclones. But what matters is not the incidence of extreme weather events per se but the impact of such events—especially the human impact. To that end, it is instructive to examine trends in global mortality (i.e. the number of people killed) and mortality rates (i.e. 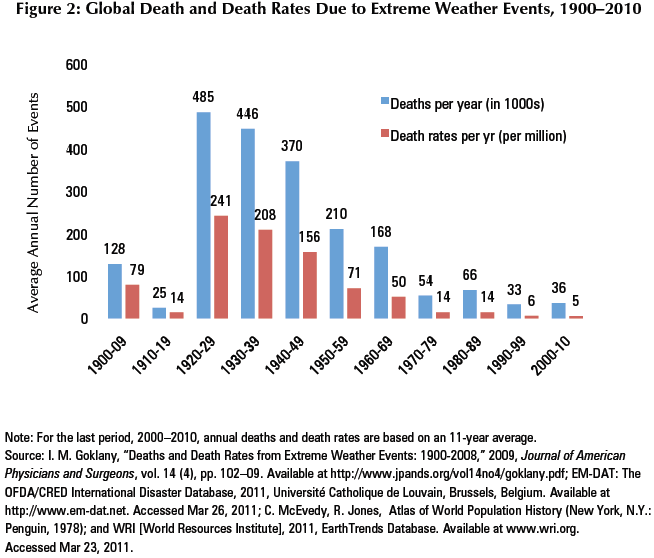 the proportion of people killed) associated with extreme weather events for the 111-year period from 1900 to 2010. This is due to better warnings, and yes, the MSM (especially TV and radio) is key to getting those warnings out. 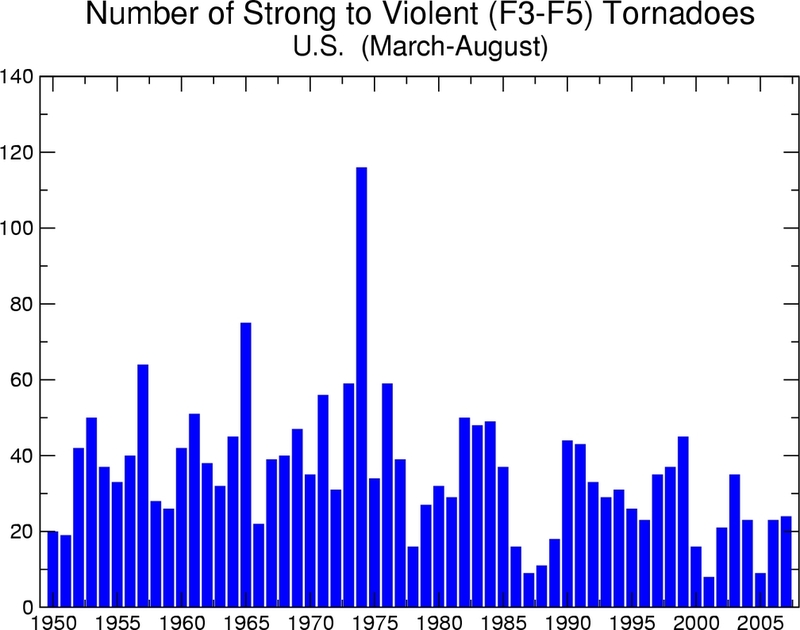 The decades leading up to 2011 convinced many that the tornado threat had been reduced to the point that 100 fatality tornadoes and 500 fatality years were in the past. After all, neither figure had been exceeded in the U.S. in over 50 years. The National Weather Service implemented a nationwide network of Doppler weather radars in the 1990s. Warning lead time doubled, and then almost doubled again, providing sufficient time for families to receive a warning and take shelter. Television stations used sophisticated graphics to cover tornadoes with ever-increasing accuracy. Street level tracking software allowed TV viewers to know the exact location of a tornado and how close it might get to their home. of the most powerful tornadoes ever documented struck a metropolitan area and resulted in 36 deaths, which while tragic, was only a fraction of the toll that might have been expected from a tornado like this at the start of the 20th century. The benchmark for what constituted a major tornado event was much different than 1974, when the 3-4 April “Super Outbreak” killed over 300 people. Things were different now, or so many people thought. in normalised damage until the Joplin tornado of 2011. Every time warmist academics try to push these ridiculous opinion polls as proof of “global warming makes weather more severe and more frequent” all it takes is a casual look at the data to know they are blowing hot air. I give carte blanche permission to repost this article far and wide, bloggers, have at it. How about, “Do you remember any national media outlets overhyping extreme weather events in the past 12 months”? 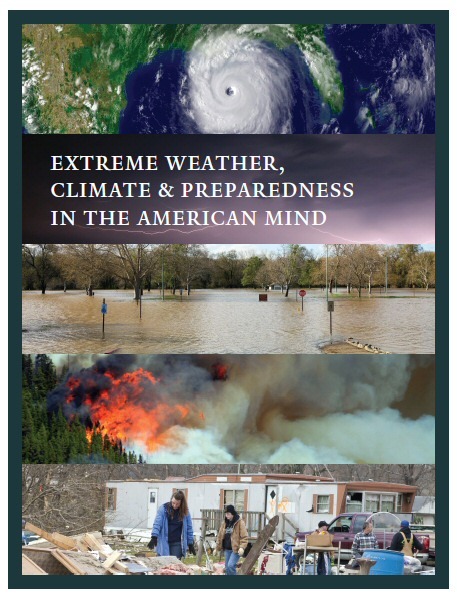 Extreme Weather Events — c.f. http://en.wikipedia.org/wiki/Summer_of_the_Shark, where the only statistically significant difference was the number of new reports about shark attacks. 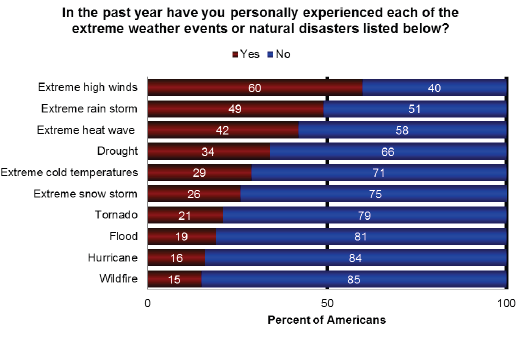 60% of Americans have personally experienced “extreme high winds” in the last year? What is “extreme high wind” anyway? Surely hurricane-force at least. Living on the Gulf Coast, the last time I experienced a hurricane-force wind was in 2008. It must be really, really windy where those 60% live. That time line is a brilliant device for conveying the effect of communications on perceptions. Thou shalt not commit logical fallacies….and this poll is a doozy. According to the poll 21% of respondents experencie a tornado in the last year. Extrapolating that out to the U.S. population, that would mean that over 60 million Americans were affected by tornadoes in 2011. That strikes me as wildly inaccurate and falls into question whether this poll has any validity at all. The item about tornadoes gives away this is a scam. There’s no way 21% of Americans have personally experienced a tornado in the last year. Ha. Bigfoot… Russian scientists thought they actually existed. Google Zana bigfoot… Out of boredom, I looked much closer to see what I can find… I came away being convinced that they are real. Go figure. You just have to find the right places for actual stuff, not silly things by MSM. I’ve heard that we could not duplicate the movement of that bigfoot in that grainy video. Also, how to be able to tell real foot prints from fake ones (yes there are actual real foot prints). Keep it in mind… Panda bears once thought were to be extinct… It took many years to find them because we knew very little about them. Once we found them, we gained much more knowledge on how they function in the wild and were much easier to find them. I see Wiki did not learn of Göbekli Tepe 10,000-12,000 years ago, the earliest civilization known so far. That’s Hedl… Oh, no, this time it really is Hedy. Never mind. that the entire temperature range has shifted almost 10F lower. We used to get four months of nights over 70F, now there’s a handful. We used to get only two months of nights under 55F, now its six months. All in preparation of Earth Day propaganda blitz. More demonizing those who disagree with the “establishment” agenda. Simple minded nonsense. 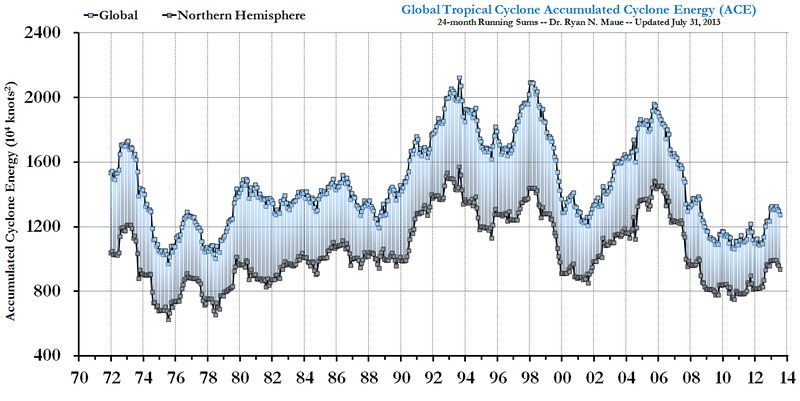 Nothing but alarmism with no scientific basis whatsoever. In fact no link exists between weather and such gradual warming as may have occurred. Meanwhile the link between weather and La Nina is firm. As is the link between spring temperatures and tornadoes. And i don’t know what the Warmists will do if the assertion that water vapor is a negative feedback is verified as claimed in the link below. That would mean that there is actually little to worry about even if CO2 were and important forcing agent, which it is not. If they had tried this poll in Europe, I’m sure a higher percentage would have responded “yes” to extreme cold weather; after last winter with multiple deaths due to cold weather. I think you need to distinguish between opinion polling (which is merely a snapshot of public opinion), scientific concensus and the reality of hard data. The only conclusion to be taken from this poll (or propaganda), is that when it comes to climate, both science and academia are now totally dishonest and corrupt. You can’t do any deals with people like that, because they’ll never keep their word. Time for a root and branch clear out, tear it down and make a clean start. OMG that 1972 Radio Shack catalog brings back memories. My dad had a stereo from that year… 8 track and all! Do you recall any noteworthy change in your local climate; from what you remember from 100 years ago ? Do you recall any noteworthy change in the climate of the USA from what you remember from 100 years ago ? Do you think your local weather today, may be caused by those changes in climate from what you remember 100 years ago ? What are you personally doing to correct the changes in your local climate from what you remember from 100 years ago? How much is it worth to you to return to the climate that you remeber from 100 years ago ? Science by POLLING people to see what they think? George Orwell would be proud. The Ministry of Truth lives. In propaganda, it doesn’t matter what is true, only what is believed to be true. With more and more half-assed scientific studies and “polls” originating from Ivy League institutions like Yale, the reading public is also beginning to ‘connect the dots’. These prestigious universities are expensive money pits, adhering to a radically warped political point of view, and have little regard for the proper implementation of the Scientific Method. David Suzuki and Greenpeace protecting their money train in Canada kind of goes along with rigging the polls. Just what happened to science, sad? Get ready to hear that phrase repeated ad nauseum. If that really did happen… we would be in deep kaka. So don’t sweat this normal weather stuff. It has always been… And it always will be. Just hope the Sun keeps on truckin’ within normal variability. A major change in the Sun… now that would be very problematic. Anthony, I guess you slept through Winter this year. Change that to “…only what the propagandist wants you to believe is true” and you’ve nailed it. And, at least a quarter of the U.S. population believes in astrology… Belief in astrology is more prevalent in Europe, where 53 percent of those surveyed thought it is “rather scientific” and only a minority (39 percent) said it is not at all scientific.y. So much for European sophistication. No wonder they gulped the Kool-Aid down. There – fixed that for you…. Is it conceivable that Anthony A. Leiserowitz has or is ‘losing the faith’ Is this poll actually an attempt to buoy up their own beliefs in CAGW? Are they riddled with self doubt? Similar to handing out loads of invitations to your own birthday party, doncha just panic sometimes that no-one is gonna show up. so, you rush round quizzing as many as possible – just in case it all falls flat and turns into One Monumental Fail. In answer to your questions Mr Leiserowitz , CAGW is now flat. And failed. Actually, I rather think Orwell would be horrified. He wrote 1984 as a warning, not as an instruction manual for ‘green’ politicians and NGOs to use against the rest of us. I, like TomL ,live on the gulf coast, and I also don’t remember anything close to what I would call an extreme high wind event. Several years ago when I lived in Vermont there was a wind storm with 70 mph winds, it might have been a tornado. That is the only extreme wind I remember in years. It must be quite windy between S.W. Florida and Vermont. There is evidence written communication may have started over 6,000 years ago, called Vinca symbols. By ‘connect the dots’ they mean prepare the virgins for sacrifice. Gad, they’re running the Enlightenment on rewind. Since the science is “settled”, can someone please explain the mechanism by which CO2 can cause extreme weather without raising global temperatures? I must have missed that part in my college science courses. This study is really just a poll to see how well the MSM and AGW crowd is doing their job . Most people have no real knowledge of weather extremes or global warming beyond what we are told by one side or the other. Most don’t search the data and read all the blogs to make up their own minds about the subject. What’s more, most people aren’t concerned about enough about the subject to take the time to even give it much thought. The fact that most people un-concerned about AGW or whatever it is called this week should tell us something. 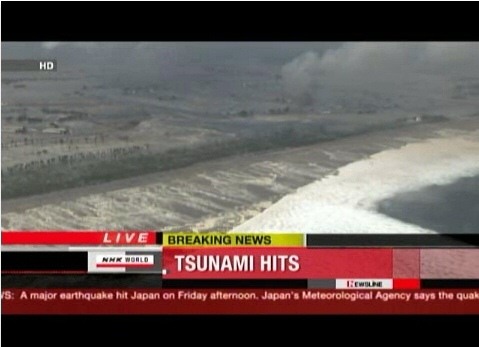 If people were really concerned about sea level rise etc., ocean front property would be being given away. I assure you it is not. the rest of us call it ‘landscaping’ or ‘gardening’. Didn’t you get the message? It’s not ‘global warming’ any more; it’s ‘climate change’. See, man is causing ‘climate change’, and the proof is all the ‘extreme’ weather we’re hearing about. And even though there doesn’t seem to be any warming lately, we all know CO2 is a ‘pollutant’, and pollutants are probably causing climate change, and man makes CO2 by burning coal and gasoline, and. . .
Well, you know. After all, 97% of all the scientists agree. Or was that 97% of doctors, who said that Camels are “Kind to your T-Zone”? I can connect the dots on a freckled face all I want, it will not turn into the blueprints for a time machine. Perception is not empiric evidence is not science. They didn’t interview Mojave Max on this poll. Mojave Max, a desert tortoise, is supposed to emerge from his burrow each year to signal the start of springlike weather in Southern Nevada. Max finally dragged his shell out of the ground for the first time at 12:41 p.m. Tuesday, 4/17/2012. It was the latest the desert tortoise has emerged from his winter slumber since 2000, besting the old mark by a full three days. put out a news blurb this A.M. about the Yale study. It said ( I called the radio station for a transcript, they would only point me to a NY Times article) IIRC, “Yale study says 69% believe in global warming, and people believe the weather is getting worse”, 69% seemed high. It was just a 10 second blurb saying the above. When invited to agree or disagree with the statement, “global warming is affecting the weather in the United States,” 69 percent of respondents in the new poll said they agreed, while 30 percent disagreed. Where did the NY Times get their 69% number from ? There is no 69% agreement on anything unless you combine categories. The whole strategy of using scare tactics is beginning to fail as people simply switch off due to “scare” exhaustion, regardless of the facts in the matter. Aah! Doncha just love the Grammar Nazis …. ? The questions reflect a particular narrative, so the poll wasn’t really about the weather, the poll was checking to see how the narrative is coming along. So if 60 million extrapolated people would consider themselves to have been affected by tornado activity, presumably by watching the coverage on TV, then the narrative has indeed been effective. Voters affected by a narrative are far greater in number than people affected by actual events, so in terms of political power (which is what ANY poll is really about), reality takes a distant back seat to the narrative. This poll is nothing more than raw propaganda. Guys, I’m sure most all of you have experienced extreme weather during the past 12 months. I myself have experienced extreme weather for every one of my 58 years. I was so disgusted with extreme weather in the mid-west that I swore in 1973 I’d never return there (or east of the Rockies, for that matter). Whether it was excessive rain, snow, wind, wildfires, drought, floods, tornadoes, ball lightning – there has always been something cool to talk about. (I have been fortunate enough not to witness a hurricane or cyclone, and none of the above events caused serious damage to me and mine.) A place as large and climatically diverse as North America means few of us can dodge it. I haven’t always lived in California (and hopefully will be moved out by year’s end), and I do travel a lot (yes, despite swearing in 1973, throughout the U.S.), but I also watch the news. Every year the national news includes my home town (and Californians are practically the center of the universe) in the weather, I assume it is nationally extreme. And we have extreme fires, floods, snowfalls, droughts – frequently all in the same year. During college, I worked as a truck driver (furniture). Loading a truck in Texas during Christmas break while wearing a t-shirt, and unloading in Minnesota two days later with only a t-shirt and a denim jacket in cold so severe electrons didn’t flow fast enough to keep fluorescent lights glowing made me think I was experiencing extreme weather. After all, I was going to school in Southern California – the beach. (Denim was sufficient for any cold weather. Just two years after leaving the Midwest – why would I think the weather had changed?) That kind of cold was extreme – to me! Oh – and please don’t correct me on the frozen electrons. I was a physics major. I know why those low temperatures kept the lights out. I just prefer my story. I was never so cold, and I think the universe felt it. That was just one of my many ‘extreme cold’ experiences. People only know what they are told about weather related events. How many here know that in late 1978 the Kafue River flooded catastrophically after a concentrated series of storms over its area of origin in the Copperbelt Province of Zambia? In one small area near Luanshya at least eighteen villages disappeared from the face of the earth, no trace of any of them could be found two weeks later. How many lived in those villages? No-one knows or ever will. How do I know of this devastation? My father was one of those who went searching the relevant areas. The storm surge in the Kafue affected people living near the Zambezi, into which the Kafue flows, for a very long way. The Cahora Bassa dam in Mozambique couldn’t cope with the flood with deaths and wide-spread destruction occurring. If it is not reported, it didn’t happen according to our corrupted MSM. Doing a study about how many scare stories people have read is mentaly challenged. Statistics do not confirm a rtrent to more extreem weather. Since wind speed is proportional to temperature DIFFERENCE not the absolute temperature I would be surprised if CO2 [blanket] effects didn’t cause less violent storms. The strongest storms happen in the spring and fall when differences are greatest. I think this illustrates the change in emphasis from the science to the political phase. Having established a narrative to support Agenda 21 [ http://www.un.org/esa/dsd/agenda21/ ] during the warming phase of the climate cycle using the power of government grant and subsidy to tempt science in to support their Agenda, it is now time to move away from the science which is going against them. The tactic now is to create as much fog, fluff, chaff, dust to obfuscate and confuse so that no coherent arguments will be heard as the data turns against them. Polls like this are purely political in nature. Usually worded as “Do you agree that…….? On a scale of 1 to 10 indicate how much you agree with this statement. Only the number 1 will show: “Do not agree” ,giving a 9 to 1 chance in favour of the pollsters desired answer. Most people who do not agree but who also do not understand the question scientifically will shove in a “neutral” number such as 4,5, and 6 which is then recorded as an “agree”. All good stuff to drive the agenda forward now the science is coming unstuck. I wish I knew who the “Them” who seem to be running the show actually are. Soros? Suzuki? Not nearly powerful enough. There has to be another layer above them. As for the poll, I wouldn’t call those questions “sloppy”; I’d say they’re deliberately biased questions. That sort of thorough sloppiness can’t be accidental. The “researchers” don’t even differentiate between extreme rain storms, extreme high winds, and hurricanes. Wouldn’t hurricanes have extreme high winds or extreme rain? Wouldn’t tornadoes be considered extreme high winds too? If the respondent had a tornado warning in his area but no tornado hit, does that still qualify as having “personally experienced” a tornado? But please correct if its wrong but I have heard it said that more than 50% of the US population believe the earth is 4000 years old.! I have always struggled with the phrase: “climate change” It perplexes me. I think of Yosemite being an ex-Californian. I have learned that glaciers once carved that fantastic granite valley. The glaciers are obviously gone now except for a few permanent ice patches in the back country. So I assume that represents climate change. It just took eons. But people use the term to mean rather short term events like; Its cloudy today. It wasn’t cloudy yesterday. ergo climate change. I have a problem with this free wheeling and loosy goosy definition. Just don’t get me started on climate disruption. I think it would be somewhat difficult to prove that you haven’t heard it said. I don’t think that 50% of the US population believes the earth is only 4,000 years old. Frank, I live in the buckle of the Bible Belt and most of us down here believe in evolution and geology. But keep it up since it seems to make you feel superior. Since when do we do science by poll? When you ask them for peer reviewed evidence all you hear is silence. I think this survey reveals that the general public is as uneducated about weather and climate as main stream climate scientists and university professors. At least the general public has a good excuse. Don’t rely on the poll. Just ask anyone over 40. I’m not a climate scientist, just a former naval weather observer and I’ve never seen so many oddities. A couple of more years of continuing irregular seasonal patterns and you won’t need a poll. 1. Firstly, what part of “friendly” did you (pl) not understand? A bit touchy perhaps? Though this can probably be understood, given some of the acerbic comments made here. 2. Merriam-Webster may not be the only canonical source on usage. For example, American Heritage states: “data is now used both as a plural and as a singular collective. The plural connotation is the more appropriate in formal usage. The singular is acceptable to 50 percent of the Usage Panel.” Seemingly less of a consensus than observed for some other issues. Whether blogs represent “formal usage” can be debated, but as one charged with the training and education of scientists, my professor hat sometimes stays on even after leaving campus (an occupational hazard). In any case, my intention was not to be acerbic v.s. point #1. 3. It is true that I have not contributed much here if one means by “contribution,” post volume, though I read the site frequently and have used what I learn here in discussions with academic colleagues who are engaged in climate or solar-related research. I have written a few substantive posts (one I think on some technical issues regarding how “heat” is defined) and a few merely humorous (or attempts thereat) ones. So please don’t lump me in with the Grammar Nazis. 1. Perhaps you (pl) did not read the word “friendly?” The comment was not intended to be snarky. 2. Merriam-Webster is perhaps not the only authority. For example, American-Heritage states: “Data is now used both as a plural and as a singular collective. The plural construction is the more appropriate in formal usage. The singular is acceptable to 50 percent of the Usage Panel.” 50% is less of a consensus than in some other areas, of course. As one charged with the education of scientists, perhaps my professor-hat stayed on after leaving campus: in any case, vide supra #1. 3. Perhaps it is true that I have not contributed “much” to this site, though I did write at least once on some technical distinctions involving the definition of “heat” and “work.” Still, the moniker of “Grammar Nazi with nothing else to contribute” is a bit facile. Edit note: “Note the phrase I highlighted” … nothing highlighted. and 3) How public perception can be distorted by media repetition of a false meme. Perhaps, with respect to #3, it may be a valid measure of how misinformed the public is. Where did the 4,000 year estimate come from? *Weather extremes? * Sure. On the eastern slopes of the Cascades — trees are just beginning to push out leaves. This is about one month behind 2010 when back to back nightly frost caused fully leafed out walnut trees to drop all their leaves. Green pea sized sweet cherries turned black and dropped. No fruit on either that year. 2. “in desperation, Yale and George Mason University are trying to use a poorly worded and loaded poll to convince us that “weather is climate”. Now, did everyone in each of those states personally experience a tornado? Obviously not. But this is only a list of states where tornado fatalities occurred. Add in all the states where surely non-lethal tornadoes affected humans and I am sure we can use the above list as a guide. However difficult “Thomas” may find it, these states total 74 million people, or 25%of the US population. Wow! But who needs data when The Truth is a matter of common sense? It says everything I need to know, seeing that this is a product of the Communications School and not a product of any Science departments. By the way, how did the authors of this “study” do on that 50 question science test of last week? That would make for an interesting case study. When 21% of the people polled said they had experienced a tornado, what they probably meant was that they had personally seen it on TV. This could probably explain most of the other poll results as well. global coling. One of the signs is, more frequent tornados. It is amazing how gullible the average person is. It has to do with lack of memory. Most people can hardly remember half a lifetime. We should all remember that life is short, even when we attain great age, and maturity comprises much more than time. Maturity is required for one to realize when he is being taken-in. Stay mindful that the smooth talker is probably trying to trick you in one way or another, and keep your hand on your wallet. How is it that “ragnarcarlson” is able to post the same comment twice, once at 1:22 am and immediately following? If I think something I write was not sent and try a second time I get an instant reminder of something like “We think you already said that.” Maybe there is a new letter or something, but still, it is the same post. More importantly, if I understand (from ragnar) the comment at 1.: it is that warm temperature records have been broken – proving Anthony is wrong. This is a misunderstanding of the issue of warming versus warm. Assume that low temperature records are distributed normally. Likewise for high temperatures. Meanwhile, assume there are periods of time, maybe 30 years or so, when there is a cooling trend. Toward the end of that cooling trend records will be broken on the low tail of the normal distribution. Now it stays at this coolness level for several years. Statistically, records will continue to be broken more frequently at the low side than at the high side throughout the cool period even though it is no longer cooling. One can flip this pattern if there has been a slight warming. So now, say, things are a bit warmer. Records will be broken more to the high side as the “mean” of the distribution slides to the ‘right’ or high side. Even as the temperature slides over the hump (highest mean) and starts a cyclic decline things will still be warm (or warmer than in the previous trough). More warm records will be broken than cold records broken. The above concept is stolen with great respect from Luboš Motl. Long may the post LIA warming continue! Unfortunately, it may not. If only CO2 could help–but no luck there. Stock up on electric blankets. rag, this is quite silly, so the population of every state that had a tornado is about 25% of tne US. And from this you assume that almost 100% of the people in those states experienced a tornado? Actually, EVERY people and every historic era recollect a Golden Age – always a period isolated by either place or time, too distant for anyone to challenge its authenticity. No one can say, “Hey, I remember those days (or that place), and it sure wasn’t golden.” because nobody was around to see it. Consequently , only the poets and storytellers (and climate scientists) have a license to recount “the Golden Age”. By contrast the present is always plagued by hangnails, hemorrhoids, disease, tornados, bad food, biting flies, war, poverty, nagging housewives and… well, reality. Young professor Leiserowitz is an environmental teacher, but basically he’s offering a classic(s) lesson in griping about the lousy modern era. A prominent Swedish scientist was quoted as saying that the tragedy of climate science was/is that it arose during the coldest few decades of the last 10,000 years, and consequently its baseline assumptions about what is “normal” are based on that abnormal period.